A co-worker of mine found an idea for these cute little Valentine envelopes on Pinterest and ultimately they came from Etsy. So my co-woker and I wrote a cute little poem to go with the envelopes. 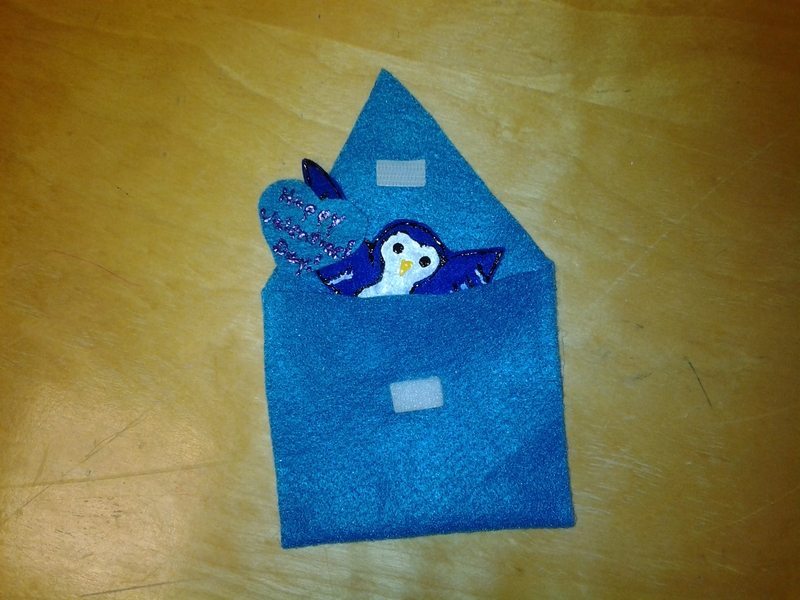 So the little animals go in to an envelope, I made the hearts they are holding match the envelope they go into, but you can make yours however you want of course! To begin the envelopes are on the feltboard and as you read the poem take down each envelope, open it and put the animal back on the board. I’m excited to try this one out for Valentine’s Day storytimes!!! You can find the rest of the Flannel Friday Roundup at Anne’s blog sotomorrowblog.com. 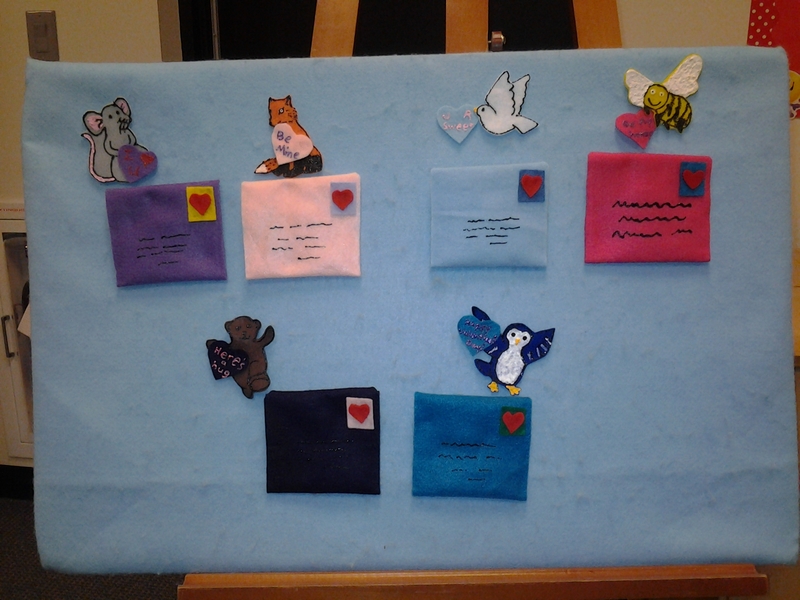 This entry was posted in Library Feltboards and tagged feltboard, flannel friday, library, storytime, valentine's day. Bookmark the permalink. So much work must have gone in to this, but it is truly fab! I love all the details. Including the stamp and the address was a great choice! Such detailed work! They’re fantastic! YES, THANK YOU. I have those pinned on Pinterest as well with the idea to make a flannelboard. Now, I don’t even need to think of a rhyme thanks to you! This is AMAZING. If I have time to make a version of this, I am so going to use it. Awesome, awesome job! This is sooo cute and imaginative! I’ve been eyeing those felt valentines for months but couldn’t think of a way to use them. Will definitely be doing this one for Valentine’s Day next year. Thank you so much for sharing! This is worth the accolades it’s getting. Beautiful work that kids will love and will last a long time. Thanks for sharing it! Very detailed! I have this “pinned” to make. I’m sure the kids will love it.